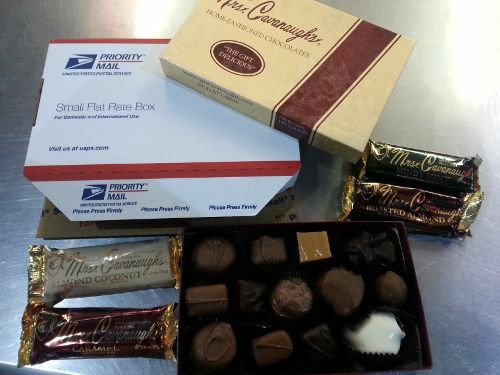 A mix of chocolate cavaliers, nut clusters, chews, cremes, caramels, and truffles. Plus those candy bars are delightful! And best of all Fresh Ingredients – Handmade from Scratch. Valentine’s Day is just around the corner. I know what I want….chocolate. How about you? Not sure if this code is still good or not, but give it a try! Yum! The documentary Super Size Me did a lot to hurt the bottom line of the fast food industry. Though some health care experts now question the results of that film, most agree that it is dangerous and potentially life threatening for anyone to subsist on fast food for an extended period of time. Even those who did not see the film want healthier alternatives to traditional fast food, which is why many quick service restaurants introduced new menu options that had fewer calories and fat. You can now find out for yourself which restaurants offer the best and healthiest options for diners like yourself. Subway was one of the first restaurants to introduce healthier options for diners. Using its spokesman Jarrod, who lost more than 100 pounds eating its subs, it encouraged diners to come in and order a sub filled with healthy vegetables. While some of the sandwiches on its menu are far from healthy, the chain does offer some good options. Diners can select subs made from lean turkey or ham, choose fresh vegetables and add low fat sauces for extra flavor. Subway also offers a wide range of salads, sliced apples, sugar free drinks and bottled water. A restaurant that features lots of cheese and fatty options might not be your first choice for a healthy meal, but Taco Bell offers a number of options for those looking to slim down. The Mexican fast food chain introduced a cantina menu that features burritos, tacos and salads that contain less fat and calories. The company worked with a world famous chef to ensure that the dishes still had the flavor that diners craved. Customers can also customize orders and request the removal of fattier ingredients. Wendy’s has a history of giving back to those in need, just like the health care company Miracle-Ear does. Its founder Dave Thomas, was an adopted child and donated millions of dollars to adoption organizations around the world. Wendy’s also has a number of healthy options on its menu, including many items from its budget-friendly menu. A baked potato with low fat butter is one option, but diners can also select smaller cheeseburgers, side salads and chili. Some of the larger salads have a large amount of fat and sugar from the included dressing, but diners can request an alternative dressing. Any restaurant that gives you the option of choosing what goes into your meal is an excellent choice for those looking to eat healthy. The unhealthiest thing on the Chipotle menu is the guacamole, which only comes standard on vegetarian meals. Its burrito bowl is one of its healthiest and most delicious options. Adding brown rice and black beans to the bowl gives you the protein and fiber that you need throughout the day, and you can even add cheese and sauce to your bowl without adding too many extra calories or too much fat to your meal. Fast food restaurants are home to some of the worst and unhealthiest foods in the world, including cheeseburgers that have more than 1,000 calories and fries that contain more sodium than you need in an entire day. Despite some foods you should avoid, there are still some fast food restaurants that let you eat healthy.